All courses listed below are one semester courses and may be taken repeatedly for credit. In addition to these offerings, students may take private voice, instrumental and/or dance lessons for an additional fee. They may also participate in SAS, community, and University performances in theatre, orchestra and dance. Beginning Guitar Ensemble is an entry level class for students with little or no experience in music reading or in classical guitar technique. The class starts at the very beginning with note reading, string names on the guitar, and how to coordinate the left hand with the right hand. We will focus on on producing expressive playing from the first days using classical guitar methods as the framework for becoming a musically sensitive and literate player. Using the Aaron Shearer Classic Guitar Foundations-book 1, the class will focus on beginning technical development, starting to read music, and learning the guitar fretboard. As proficiency is gained, the class will rehearse and perform music for guitar ensemble in multiple parts. Students will have many opportunities to perform in chapel, creative expression assemblies, the annual Christmas Revels, and for the spring concert. Topics that are stressed throughout the semester include note reading, playing in an ensemble, regular practice sessions, music vocabulary, and translating the written music language to the guitar fretboard. 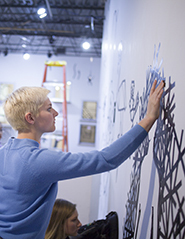 Drawing, Painting, and 2-Dimensional Design introduces students to the fundamentals of visual self-expression. Students will explore unity of form through line, shape, color, texture, and tonal value using a variety of drawing and painting media. Students will begin to study the history of art through slide viewings, discussions, critiques, and research assignments. Visits to the SAS Gallery, the University of the South, and regional museums provide exposure to a wide variety of contemporary artists. A prime objective of these classes is to enhance students’ ability both to see and to articulate what they have seen in a way that is insightful and intelligent. Assignments will become increasingly student-generated as the semester progresses and students pursue personal and independent themes. The semester evaluation will be based on a final critique and presentation. This course may be taken repeatedly for credit. 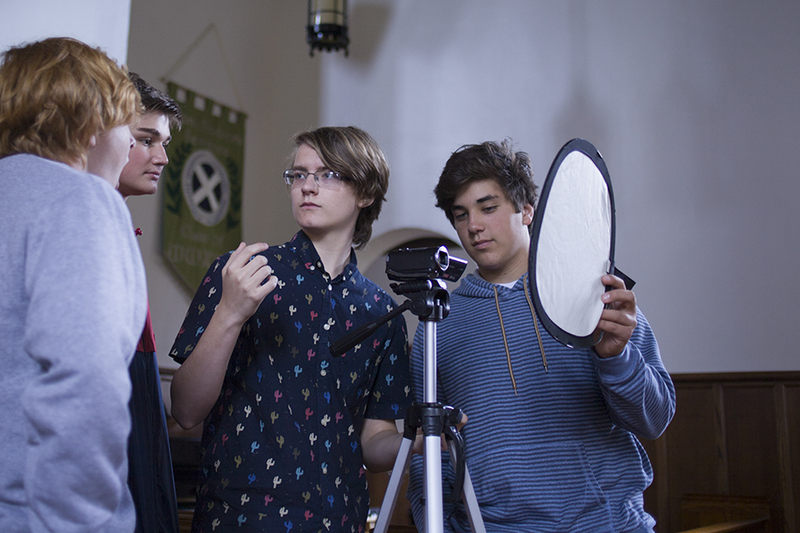 Filmmaking will cover both the physical and artistic elements of filmmaking, while giving students hands-on practice in both filming and editing their work. Topics covered will include the mechanics of filming, elements of cinematography and film design, and video editing using Adobe Premiere Pro. Analysis of film will also be integrated so that students see how the mechanical elements of film are handled by professional filmmakers and directors. This course may be taken repeatedly for credit. 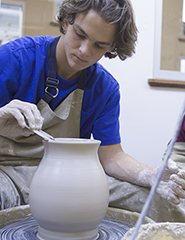 Functional Pottery allows students to learn the basic techniques of working with clay both on and off the wheel. Students will explore the properties of clay – its possibilities, potential, and limitations – working with different forms and decorations to produce pieces, which can be used. 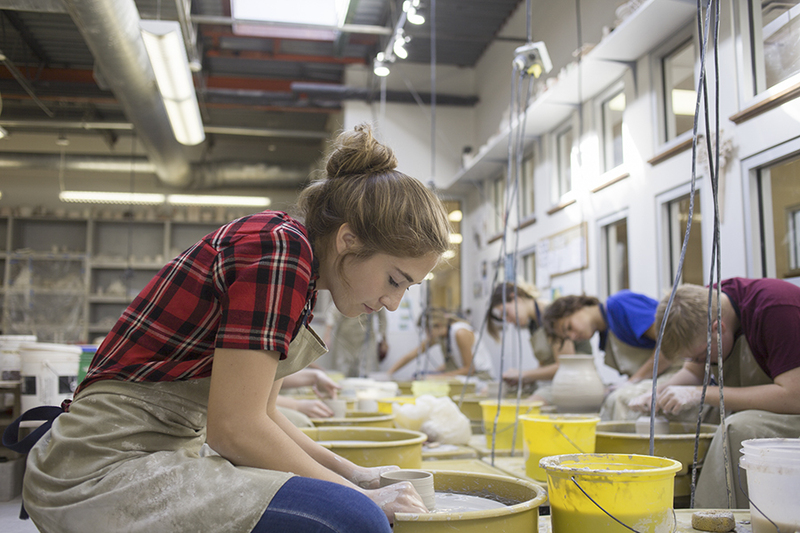 As students develop stronger skills, more complex and multi-faceted forms will be explored. Work will be fired in both reduction and soda-salt kilns. Assigned projects are changed regularly to reflect increasing skills. This course may be taken repeatedly for credit. Intermediate Guitar Ensemble is a continuation of the the Beginning Guitar Ensemble class. It can be taken with permission of the instructor and/or successful demonstration of the skills needed to continue to the next level. Ensemble work is stressed, as well as an introduction to appropriate levels of solo literature. Students perform often in the class and for assemblies, chapels, recitals, and off campus appearances as appropriate. The focus in this second semester is moving to the next level of manual dexterity and note reading. Increased focus is given to the artistic elements present in the music including form, dynamics, harmonic analysis, and chord patterns. Photography–Community Connections is a digital photography course, emphasizing the use of photographic image to make considered, social, visual statements. Project work will emphasize community connections, with each student producing work that relates to or advocates for topics of concern to the local community. Methods for building visual narratives while making expressive, meaningful, and technically sound images will be taught. Class time is also dedicated to in-depth discussions on the social impact of photography, building relationships with community partners, field methods, and class critiques. SAS Vocal Ensemble enables students to develop performance techniques in a small ensemble setting through the study of a variety of musical genres appropriate to high school level students. The ensemble will focus on accompanied and a cappella vocal music, and an emphasis will be placed on vocal independence, expressiveness, and stylistic authenticity. A basic understanding of theory will be gained through weekly sight-singing, dictation, and responding to played musical examples. Singers who read music will be a welcome addition, but it is not required for those who have good ears. The ensemble will provide music or lead hymn singing in chapel with instruction regarding chapel process provided. Students will perform on campus for assemblies, creative expression events, chapels, Christmas Revels, spring concerts, and end-of-year ceremonies. This course may be taken repeatedly for credit. Photography emphasizes using the photographic image to make a significant visual statement. 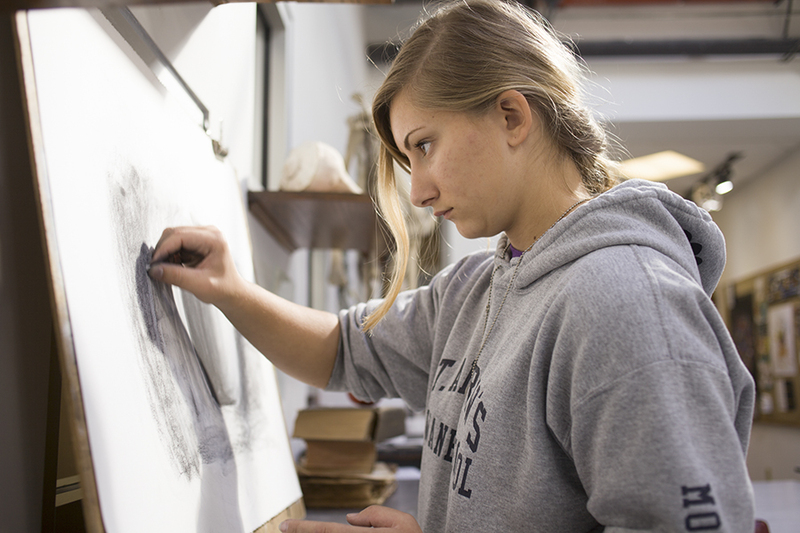 Students will combine digital photographic technologies with historic alternative photographic processes such as cyanotype and platinum/palladium printing. Students will use digital cameras to capture imagery. Digital negatives will be created and then printed on hand-coated papers using the sun as the exposure unit. Project work will be guided towards producing expressive and meaningful images that are technically sound. Class time will be dedicated to in-depth discussions about the history of photography and alternative printing methods, demonstrations on technique and chemical safety, and class critiques. This course may be taken repeatedly for credit. Technical Drawing: Building, Industrial, and Graphic Design is a technical drawing focused design course, emphasizing the integration of form, space, function, and order into the development of products, imagery, and architectural works. Project work will emphasize community connections, blending technical instruction with studio assignments. 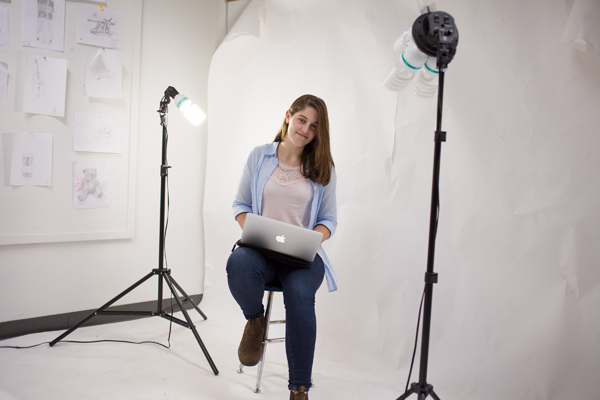 Students will design and create ideas by combining materials, process/storyboarding, computer-aided design, and human factors. Aesthetic sensitivity, technical skills, and analytical thought are developed and applied to meet the challenge of designing products for the local and global needs of our community-based clients. This course may be taken repeatedly for credit. Theatre Design and Tech introduces students to the artistic side of technical theatre, as well as giving them the experience of hands-on work in each area of design. The focus will be on designing for the theatre and will include such topics as script analysis, scenic design, costume design, and lighting design. 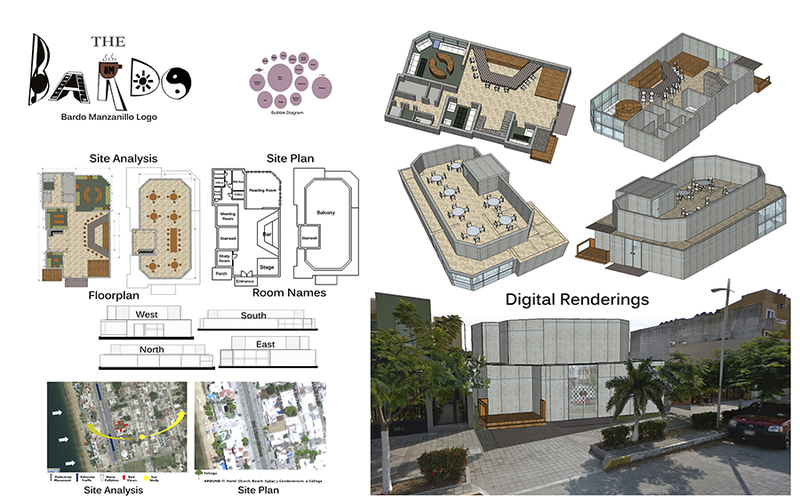 Each area of design will be delved into further with related skills such as drawing, model construction, and compiling research. Students must offer 12 hours (in 4 hour increments) to the construction, installation, and strike of the realized designs for the fall play. These hours will be completed in the evening or on a weekend, as dictated by the needs of the play. This course may be taken repeatedly for credit. Theater Arts is structured to give students a better understanding of many aspects of theatre. Because the performing arts experience begins with the desire to make art and to tell a story, students learn to nurture and support a healthy ensemble so they can create together. Each class begins with a series of warm-ups that encourage play and creativity. 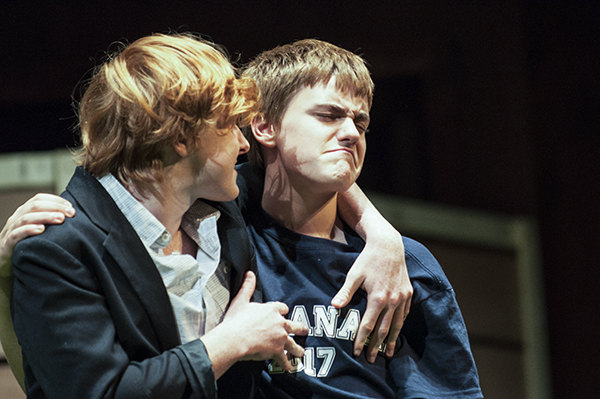 Students learn to use actor tools through consistent vocal, physical, and imaginative work. Beginning acting techniques and improvisation skills coupled with the study and attendance of actual plays and musicals are key components of this course. This course may be taken repeatedly for credit.